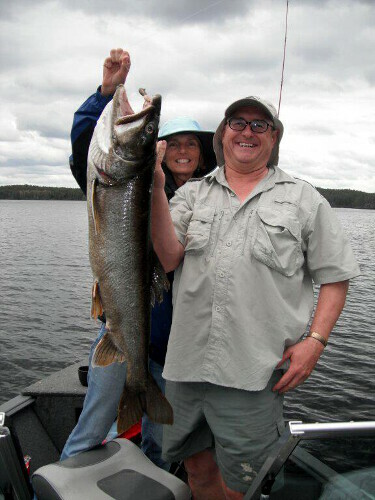 We’re Dave and Michelle Beaushene! 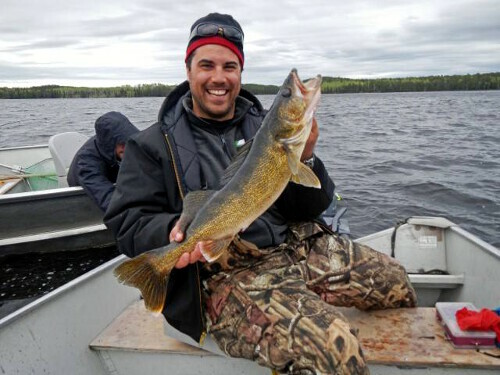 Together, along with our son Jon, daughter-in-law Kasey, and our grandson Ryan, we’re ready to share spectacular fishing and the beauty of Canada’s wilderness with you. 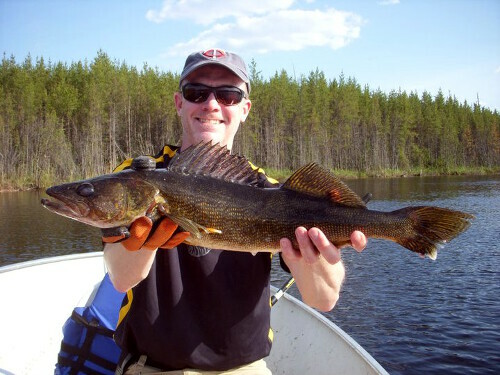 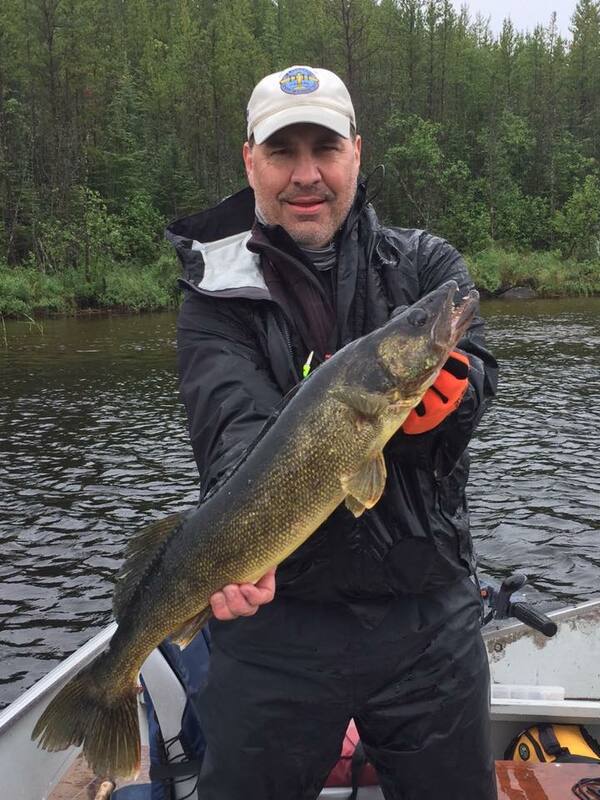 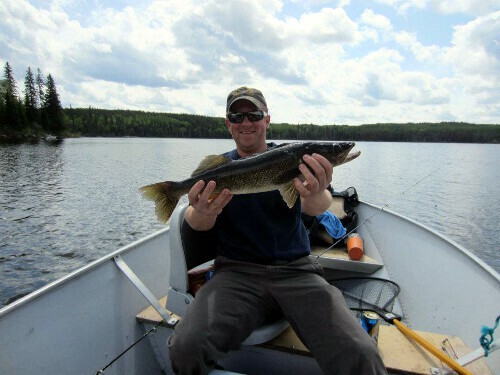 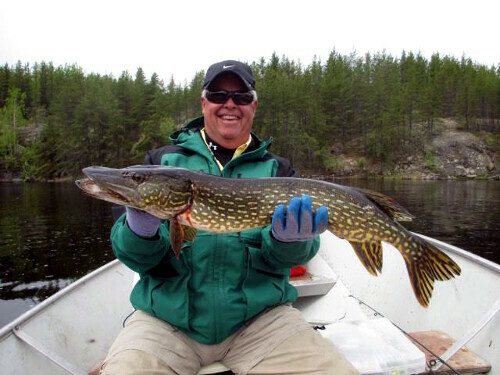 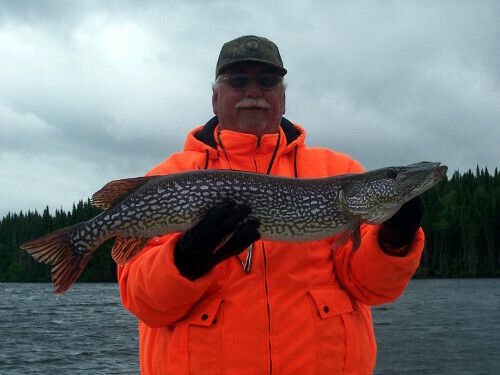 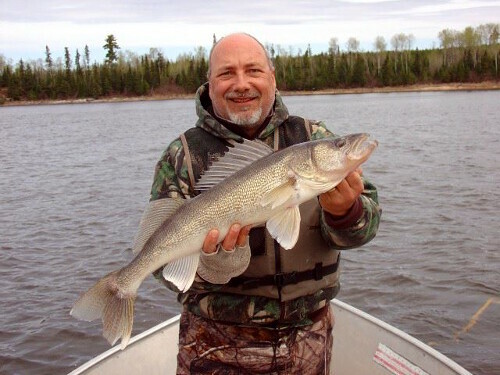 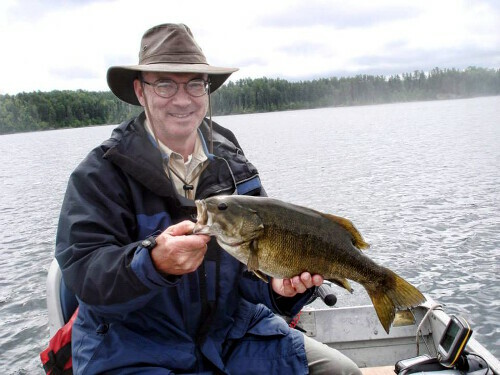 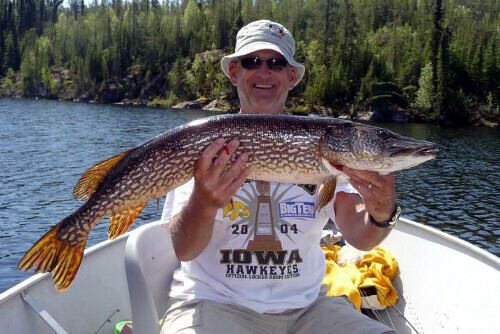 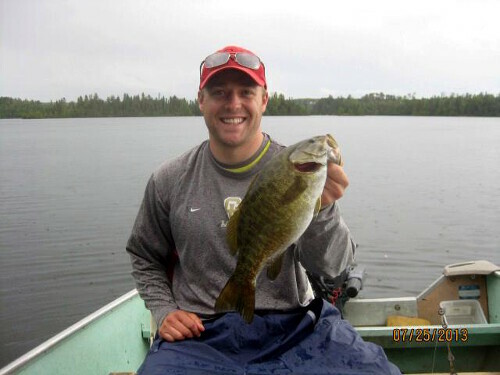 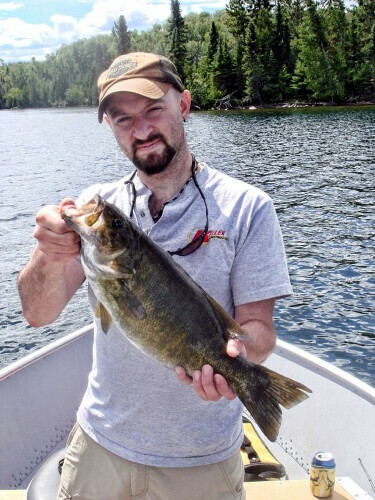 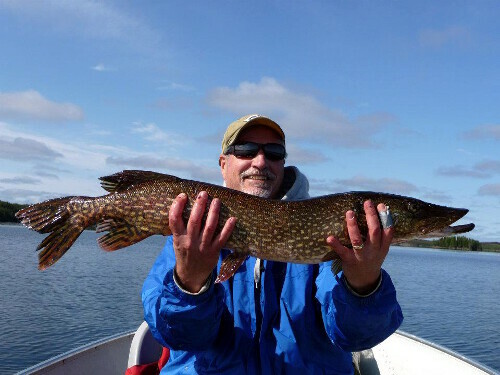 Dave was born and raised in Nestor Falls, so it’s no wonder he fell in love with the outdoors. 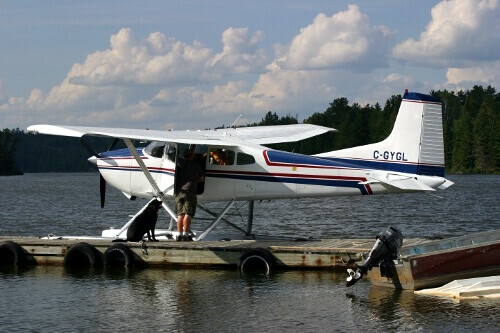 For as long as he can remember, Dave always wanted to be a pilot. 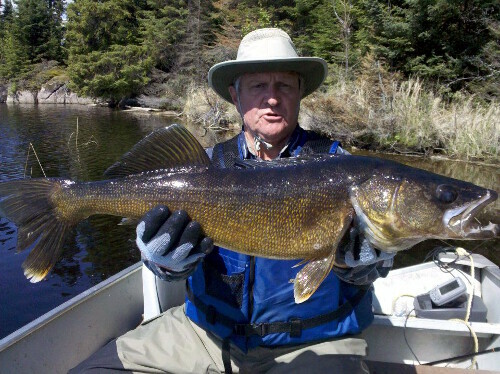 He’s had a driver’s license only a year longer than his pilot’s license! 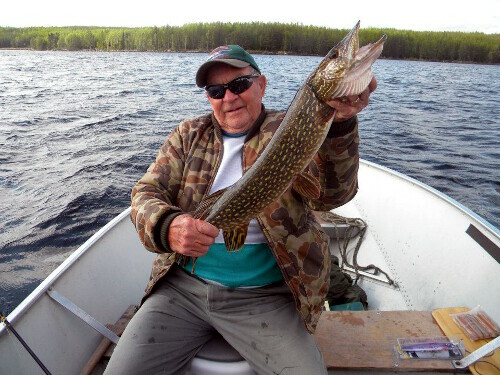 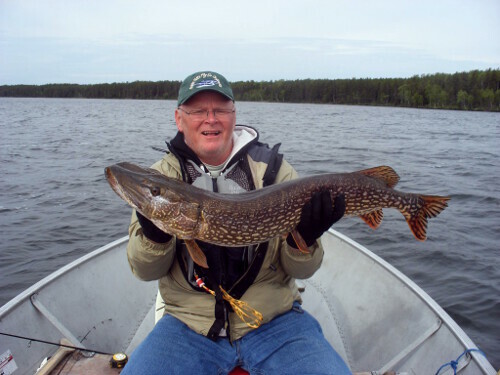 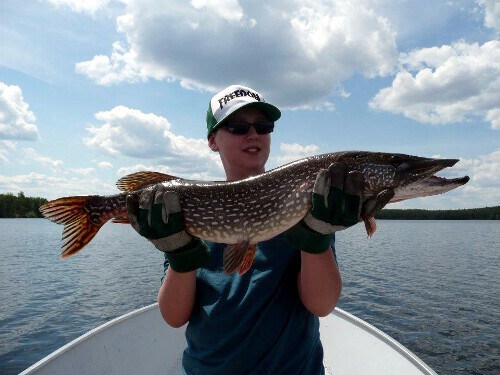 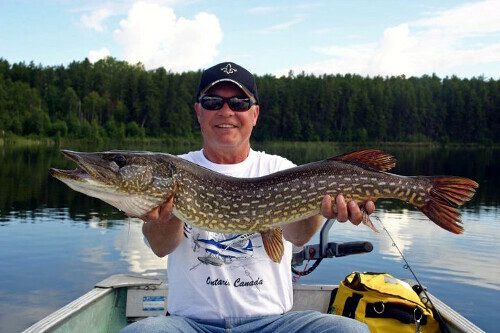 As a boy in Nestor Falls, Dave worked with his father in the minnow business, and together they’d trap minnows in their Super Cubs out of the local lakes and up north by Keeper Lake. 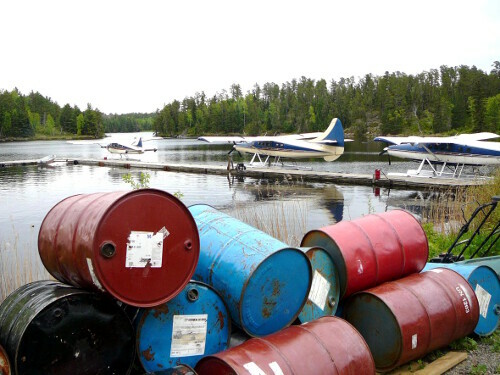 In 1985, Dave and Michelle started Nestor Falls Fly-In Outposts to share our passion for the wilderness with others. 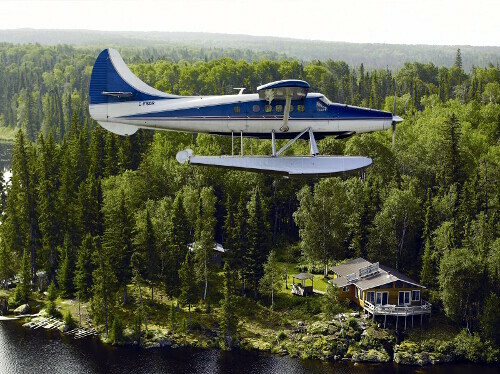 Back then, our operation consisted of one outpost on Keeper Lake and a single Cessna 185. 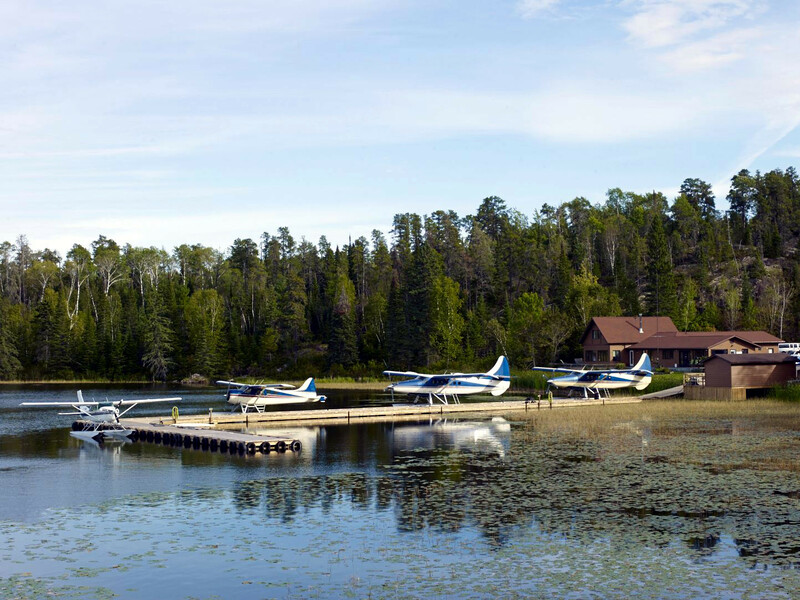 Over the last 32+ years, we’ve grown to 12 outposts on 10 lakes with a fleet of 6 aircraft. 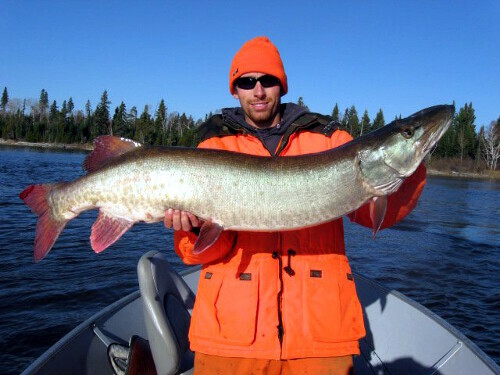 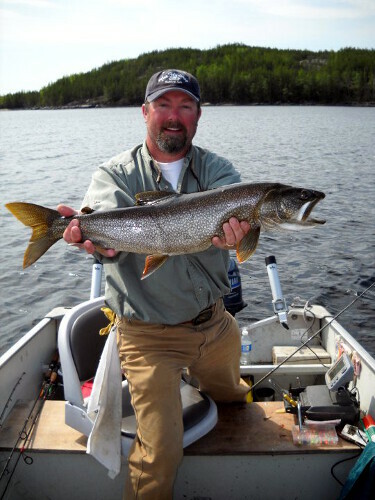 Nestor Falls Fly-In is now the place to experience superior fly-in fishing in the heart of Northwestern Ontario! 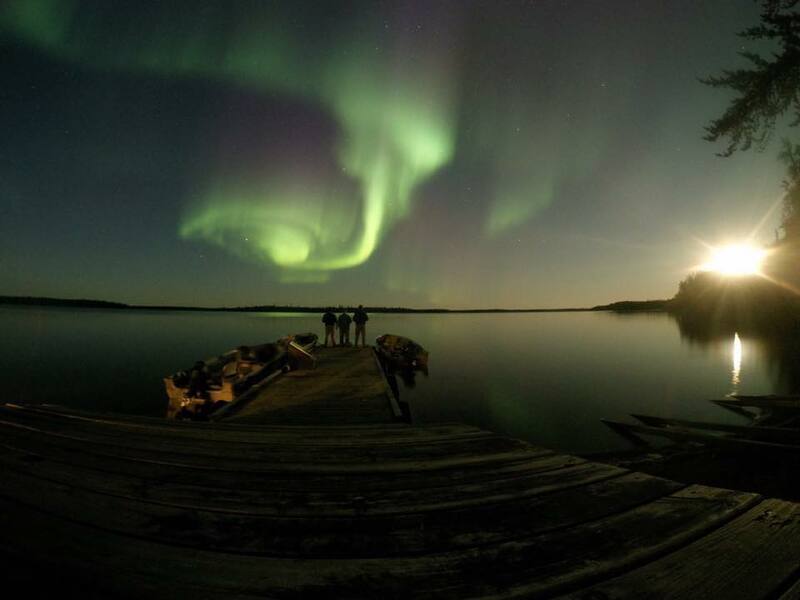 this dream with our guests each and every season, and we hope to share our dream with you, too! 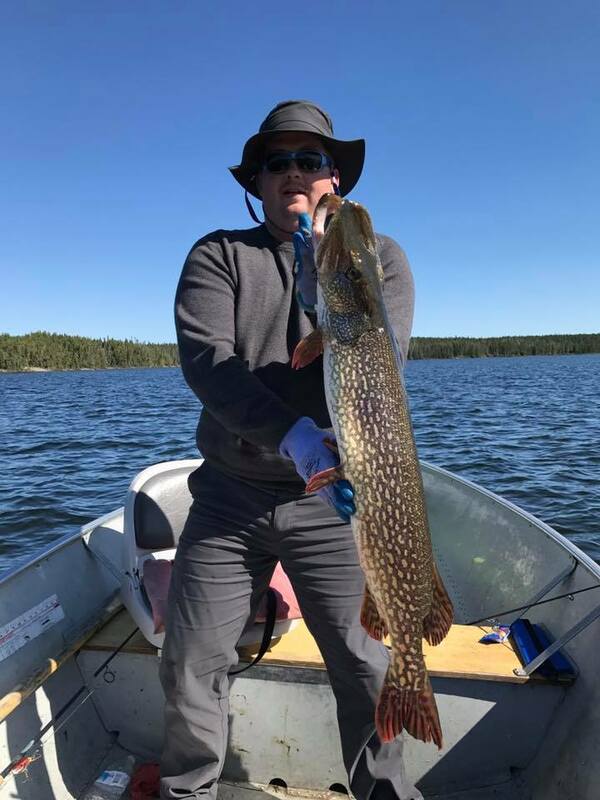 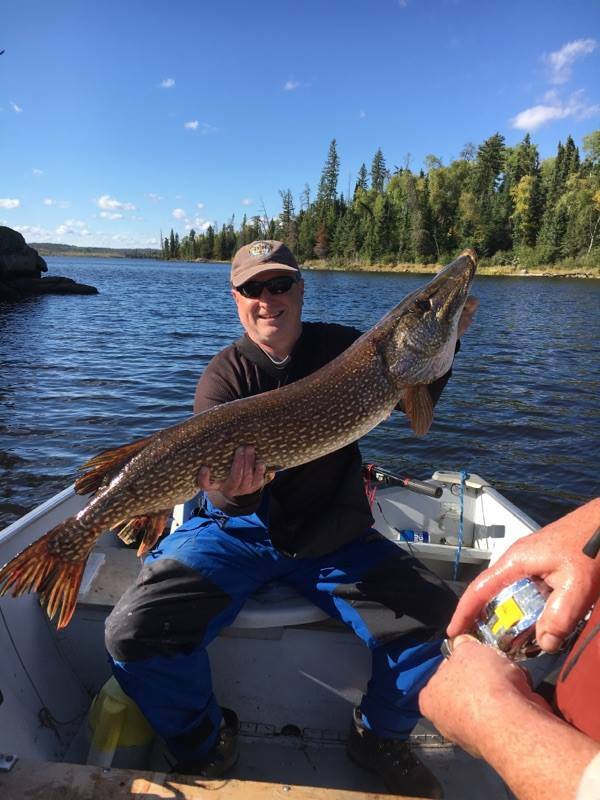 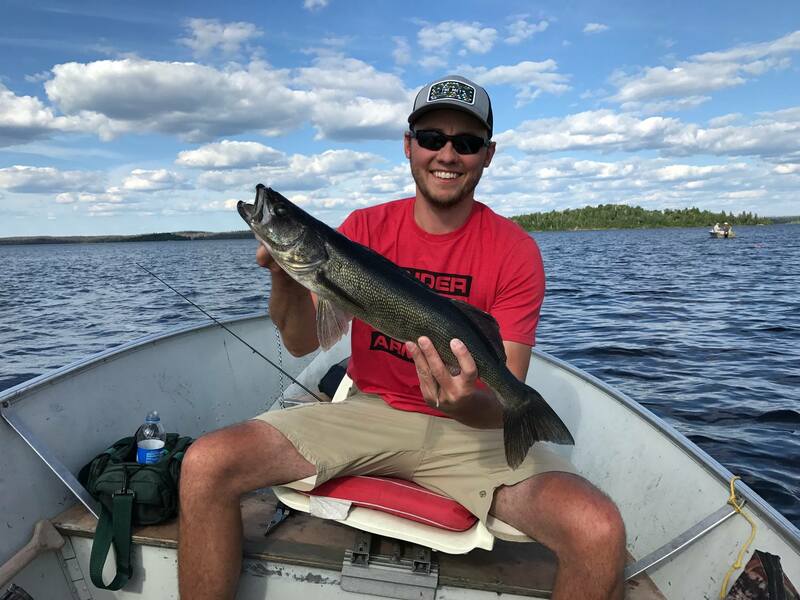 As owners of Nestor Falls Fly-In Outposts, Michelle and Dave Beaushene invite you to share the spectacular fishing of their favorite beautiful and remote locations in Ontario, Canada. 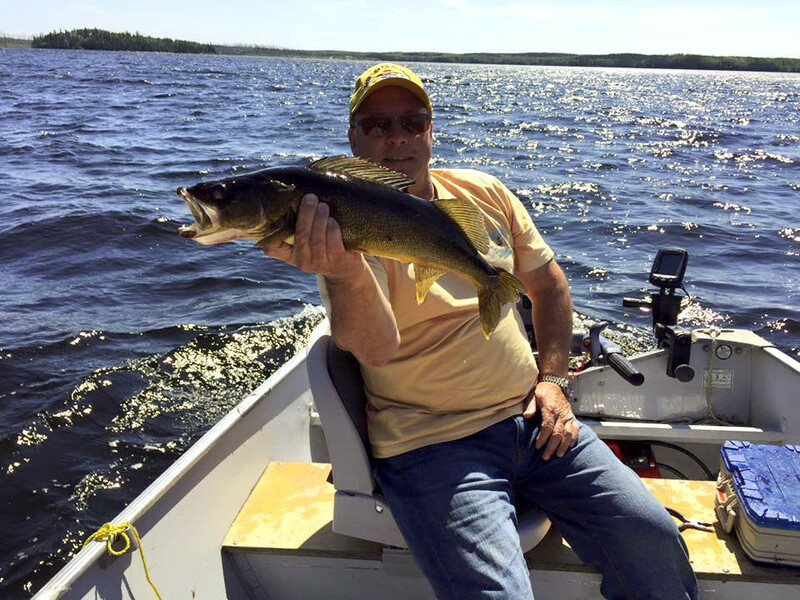 What separates us is not just our great fishing and our comfortable outposts – it’s our first class service and attitude. 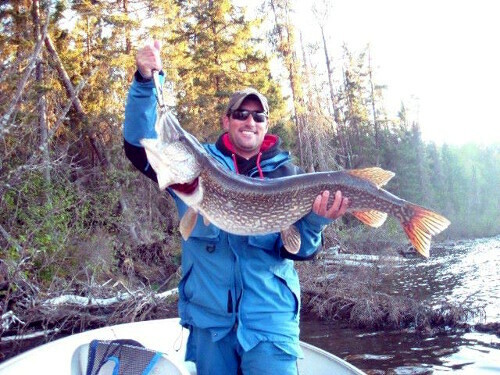 Let us show you the best fly-in fishing in Canada! 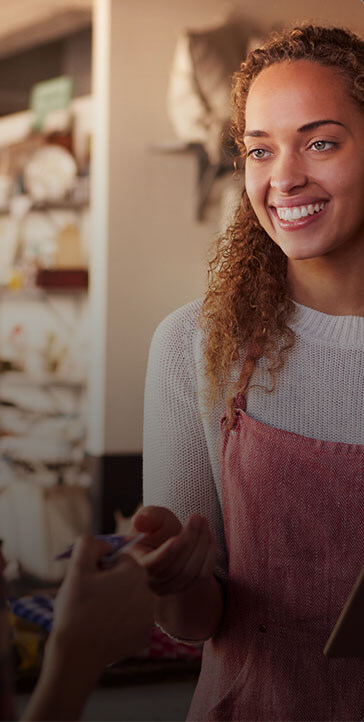 Visit once and you will want to come back – over 80% of our customers are repeat customers. 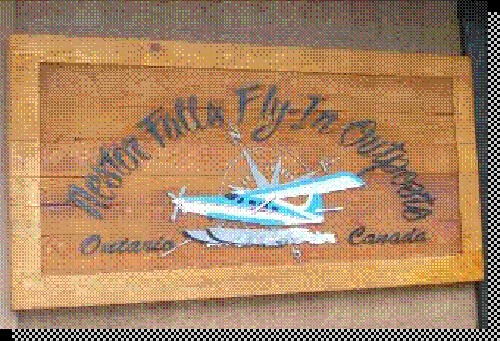 Nestor Falls Fly-In Outposts is not just a business – it is a lifestyle Dave and Michelle love to share with their friends – new and old! 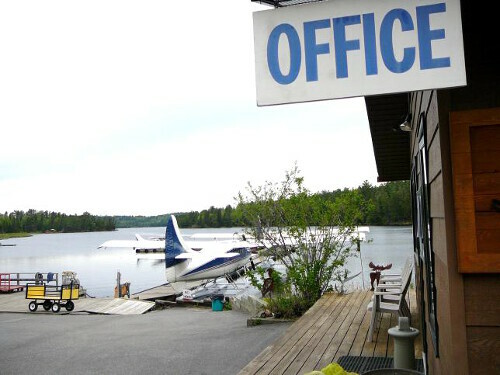 Your incredible Ontario fly-in fishing vacation in one of Nestor Falls Fly-In Outposts will leave you wanting to come back and visit us year after year. 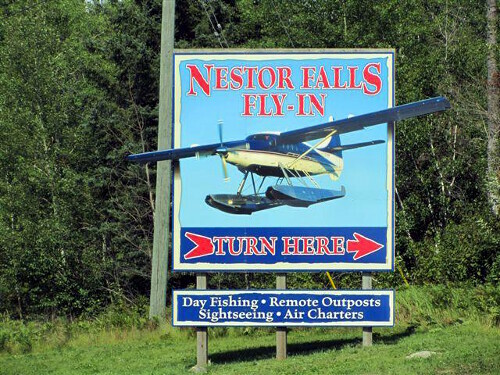 Your adventure starts in Nestor Falls, Ontario, Canada, just an hour drive north of the US-Canada border in International Falls, MN. 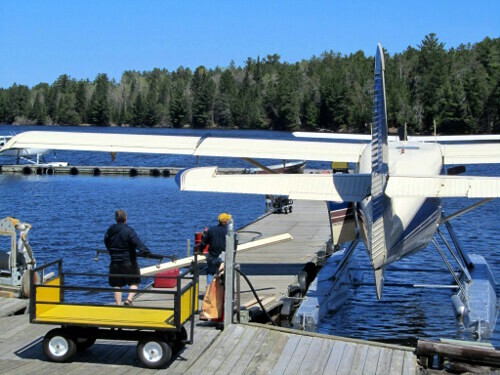 From Nestor Falls, our skilled pilots will fly you in up to 200 miles north into Ontario’s wilderness. 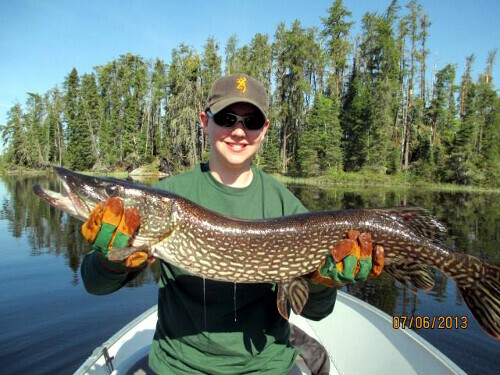 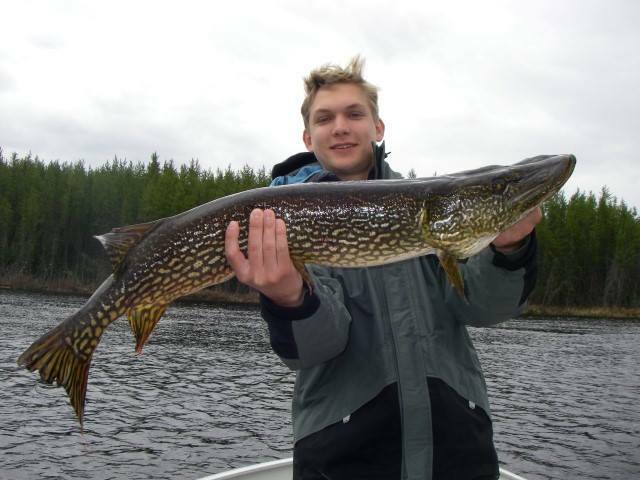 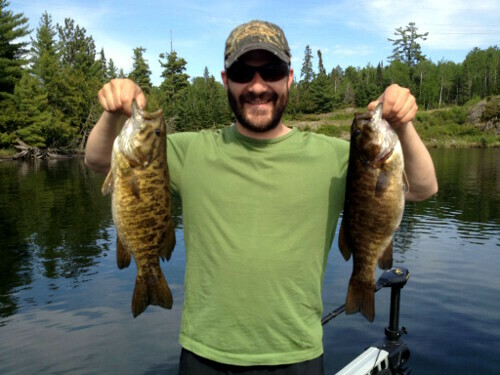 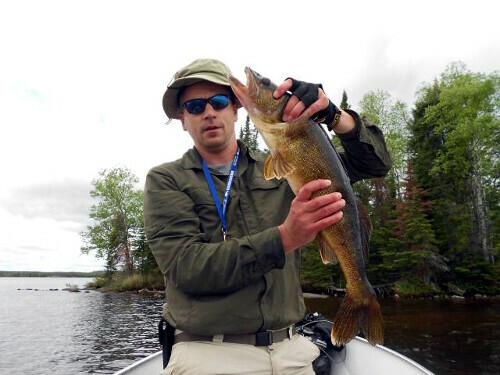 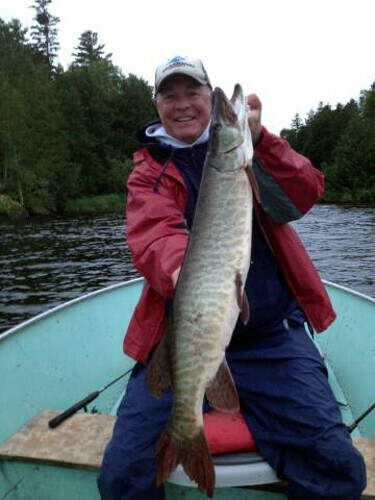 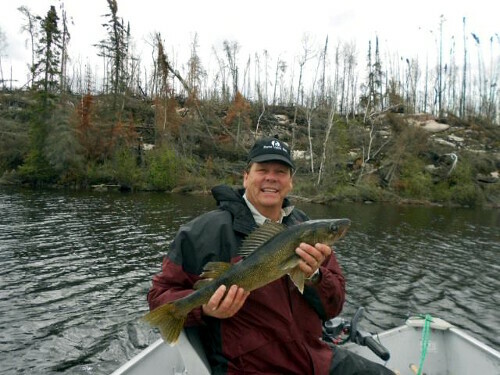 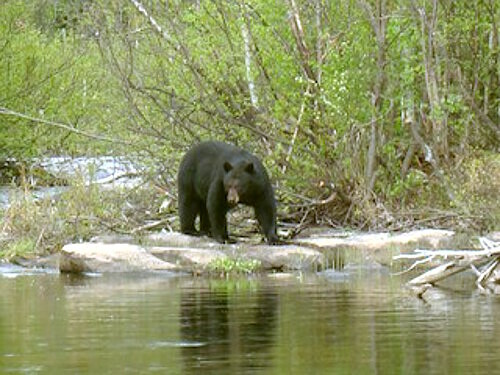 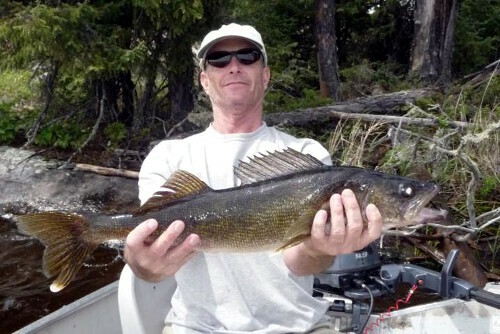 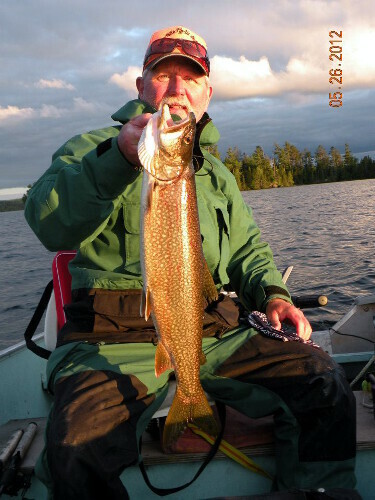 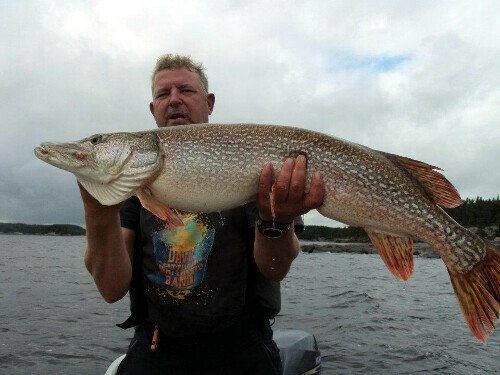 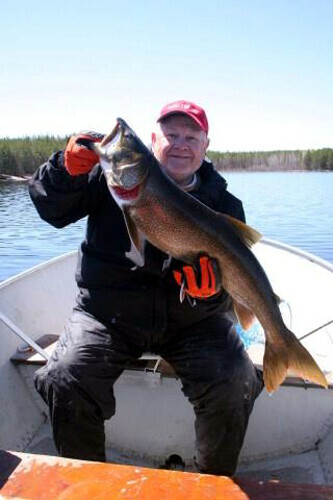 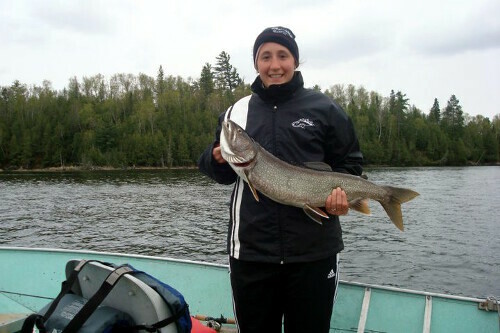 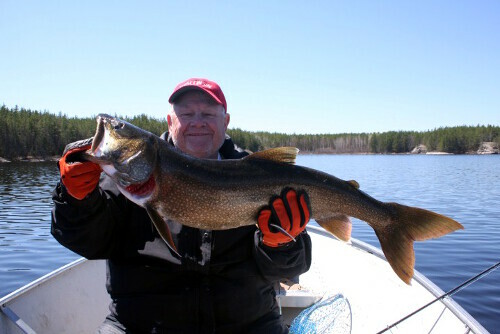 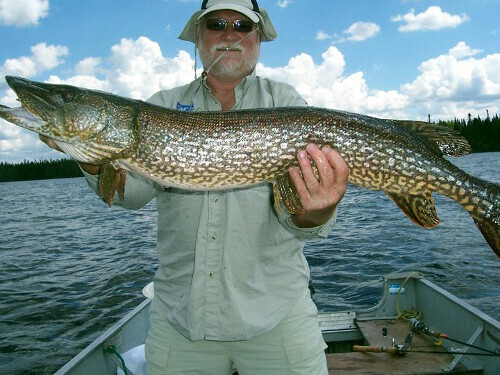 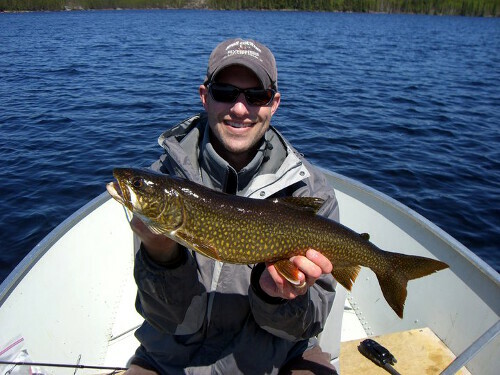 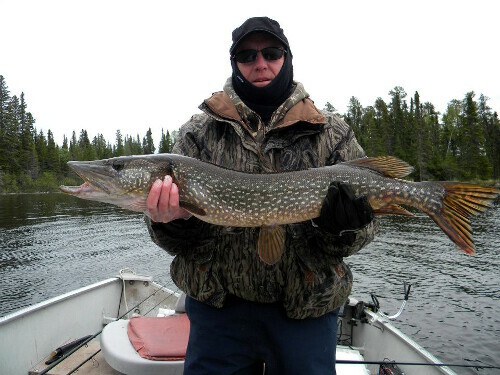 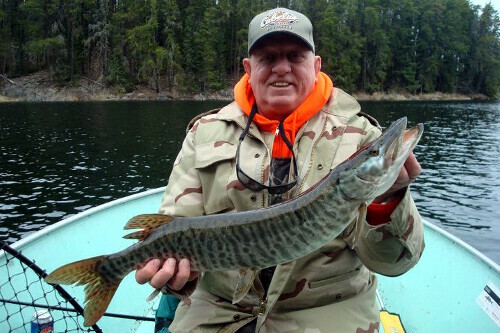 Fly-In Fishing Trips in the Ontario Wilderness! 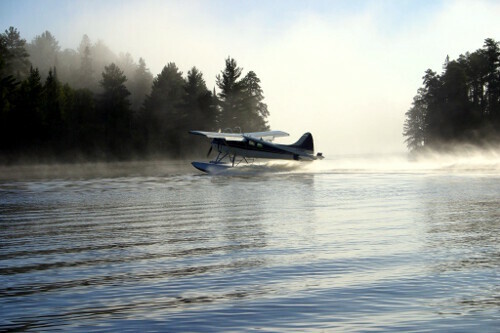 Nestor Falls Fly-In Outposts offers first-class remote fly-in fishing trips on picturesque lakes in the wilderness of Ontario, Canada. 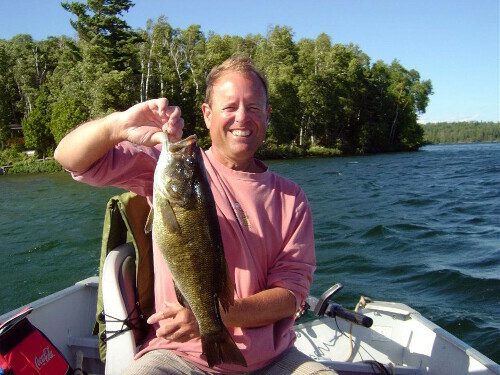 For 28 years our family-run business has been the choice of anglers looking for complete quality, personalized fishing vacations. 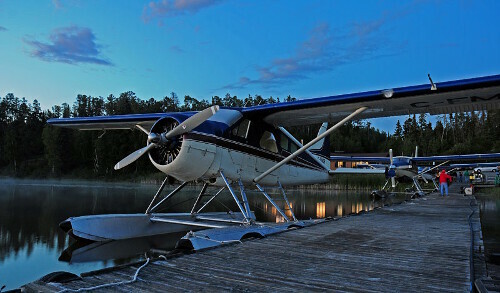 With our own aircraft fleet, we do everything to ensure a smooth, relaxing vacation – from our clean, comfortable rustic lodgings to providing you with planning checklists in preparation for your trip. 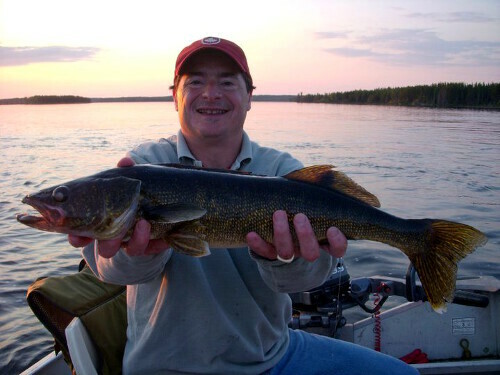 When we say remote – we mean it! 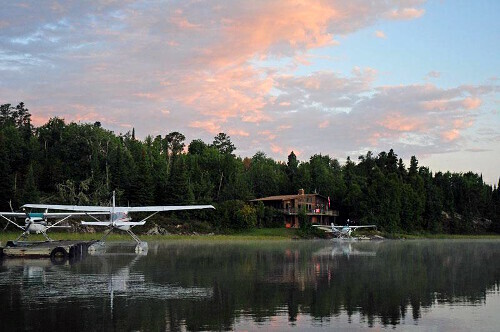 Accessible only by air, our twelve remote wilderness outposts are all located on the beautiful and bountiful lakes of Northwestern Ontario, Canada. 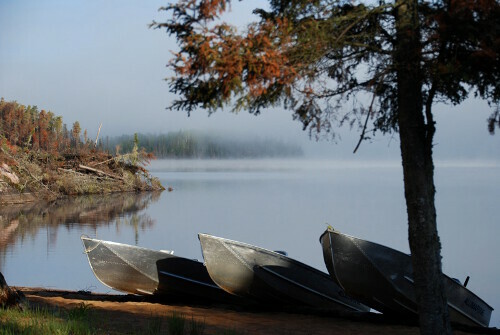 Our outposts are the only cabins on the entire lake. 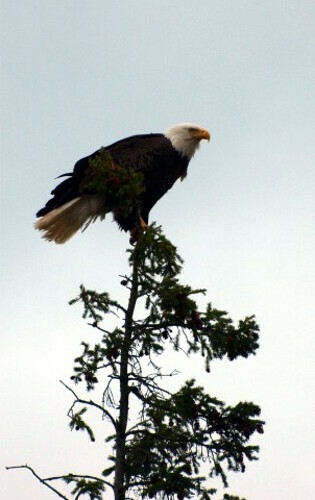 Now that’s privacy! 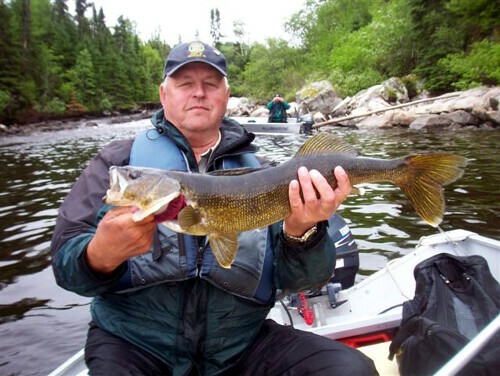 Nestor Falls Fly-In fishing trips take you to the heart of Canada’s wilderness with no one around but the fish. 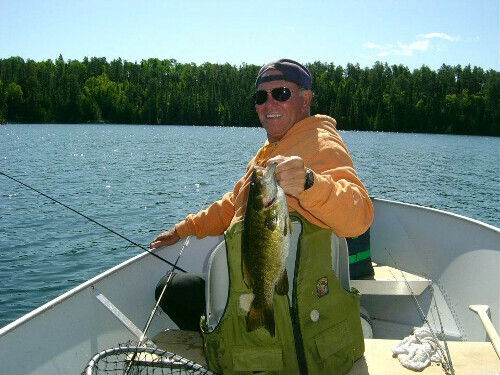 Walleye, Northern, Smallmouth Bass, Lake Trout and Muskie – whatever your preferred catch, we have a beautiful remote fishing outpost for you. 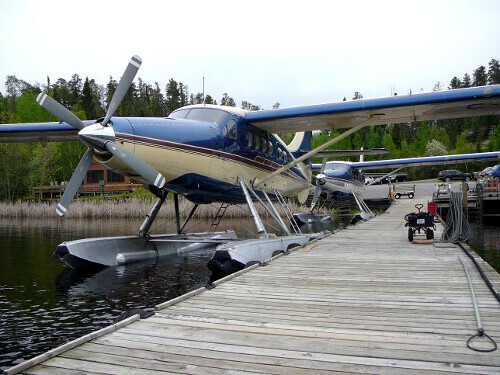 To have the Ultimate fishing vacation experience you need to fly in. 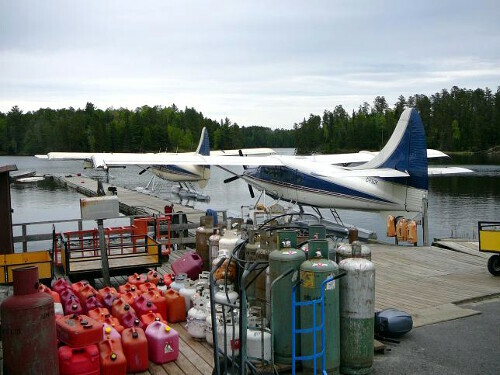 Nestor Falls Fly-In Outposts is a Fully Licensed Air Carrier. 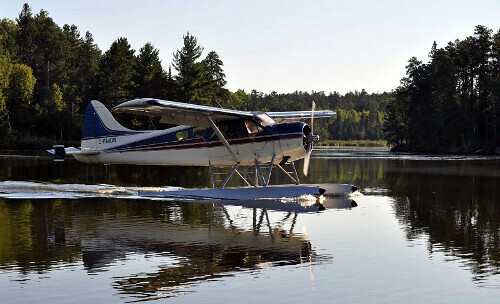 Our immaculate fleet of float equipped aircraft are flown by seasoned local pilots, who know the area and its conditions. 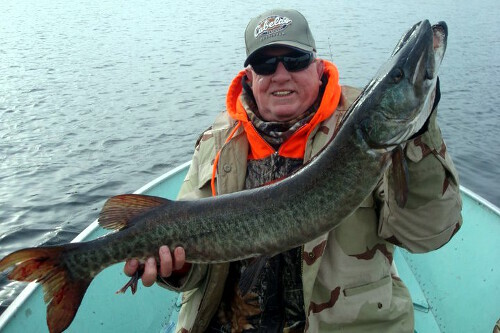 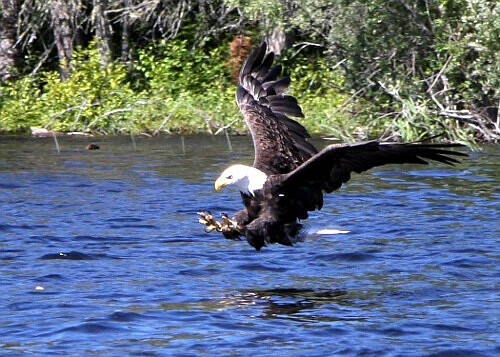 Fly-in fishing is what fishing is all about – and something that few really get to experience. 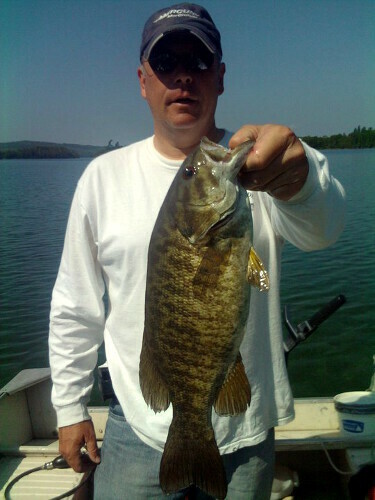 Spend Your Fishing Vacation With Us! 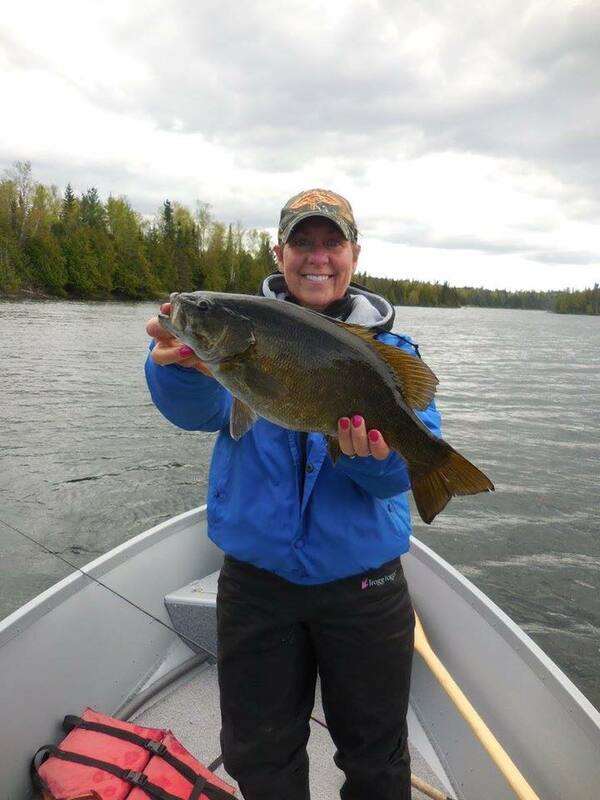 Our helpful staff wants to make your next fishing trip one that you will remember for years to come! 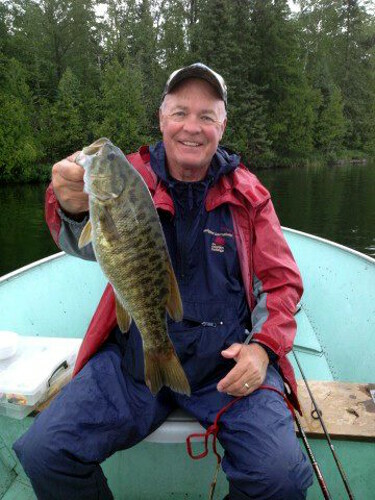 Many of our visitors become lifelong friends and return year after year. 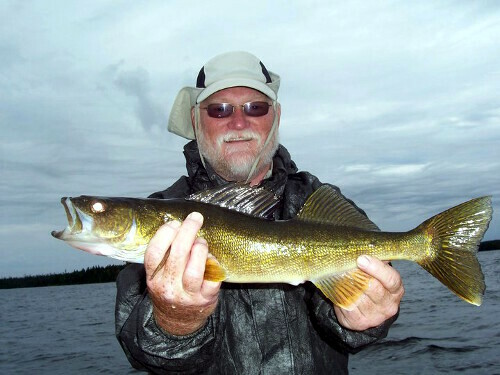 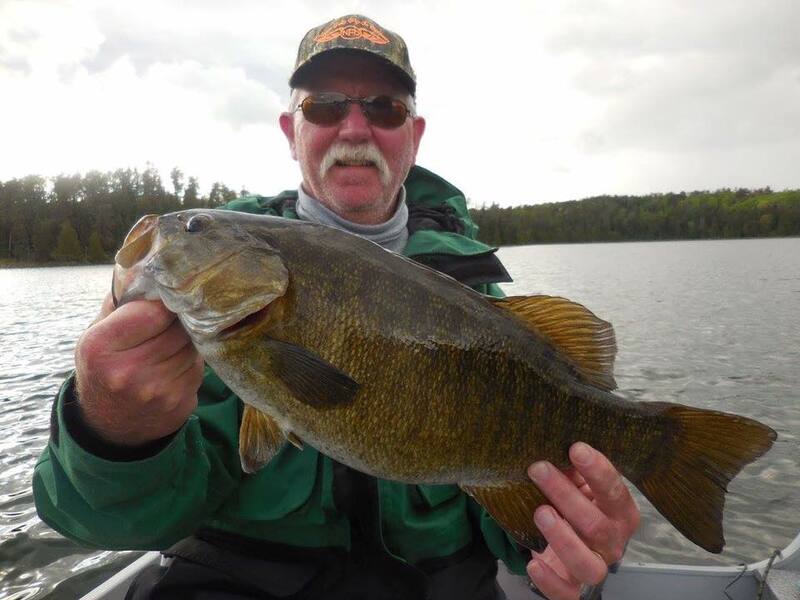 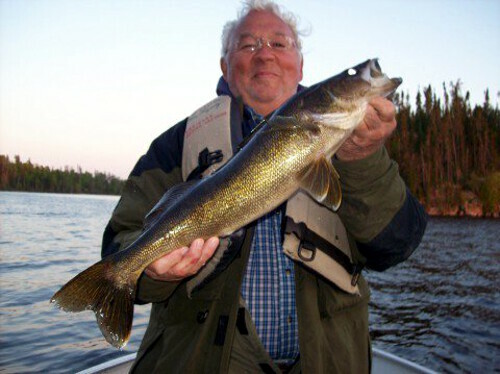 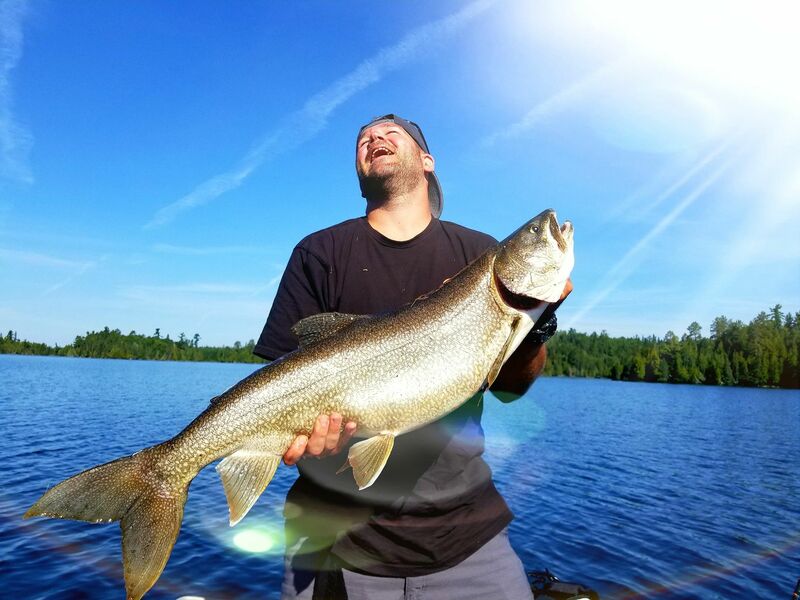 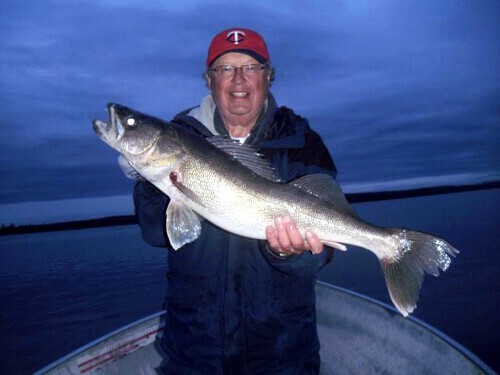 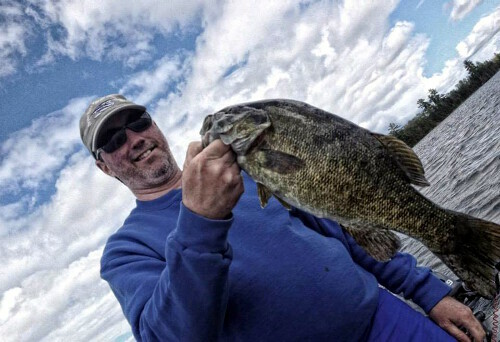 Whether you’re after Walleye, Northern Pike, Musky, Lake Trout, Small Mouth Bass, we’ll take you where the action is, and share in the joy of your success. 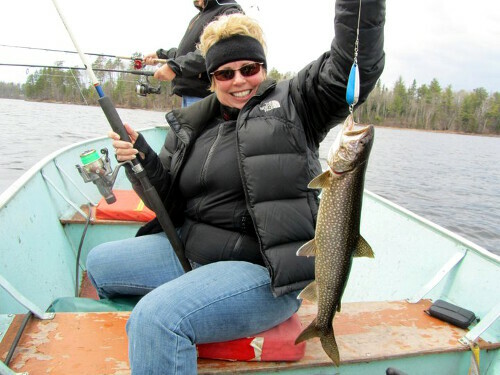 After all, we love to fish too – that’s where you can find us when we’re not helping others. 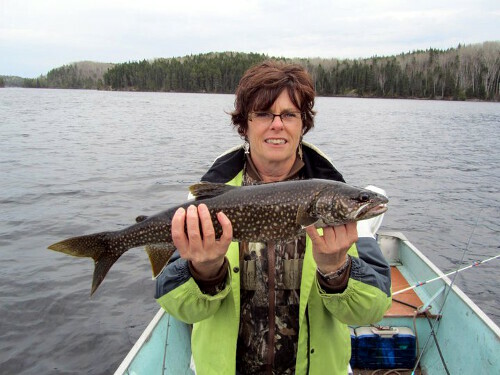 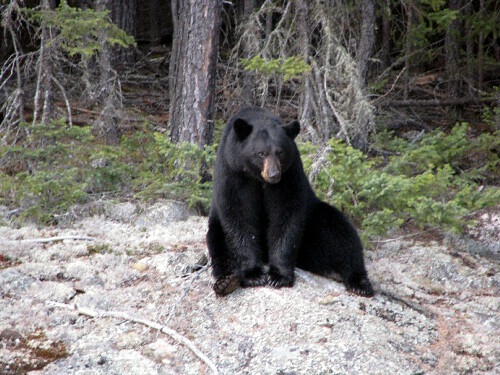 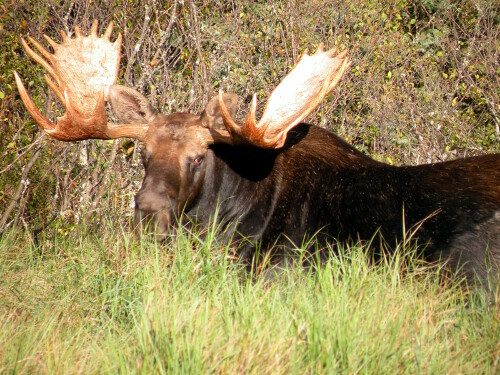 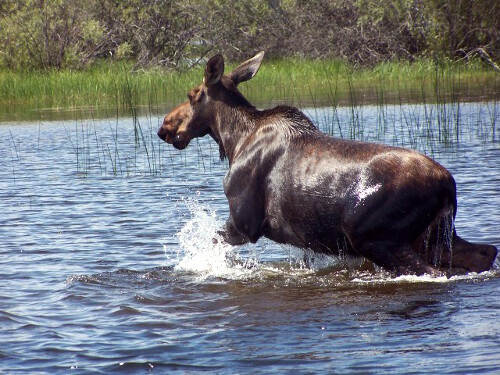 Stay at one of our 12 outposts in the most beautiful part of Northwestern Ontario. 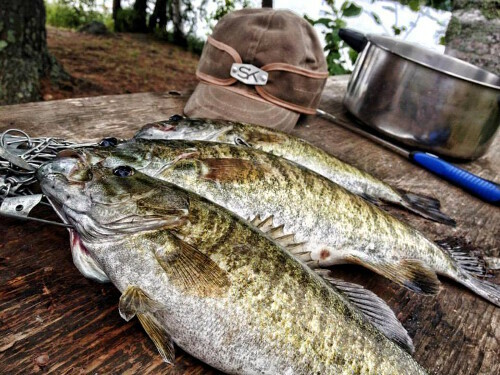 These are spots we love – away from the world with nothing but the woods, the water and the sky. 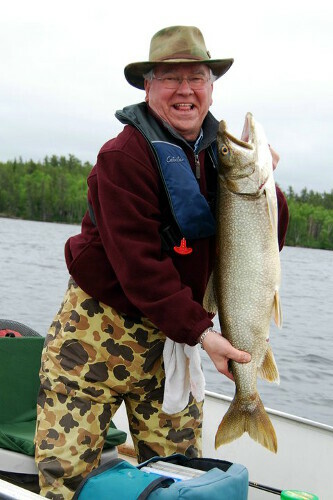 (And lots of fish.) 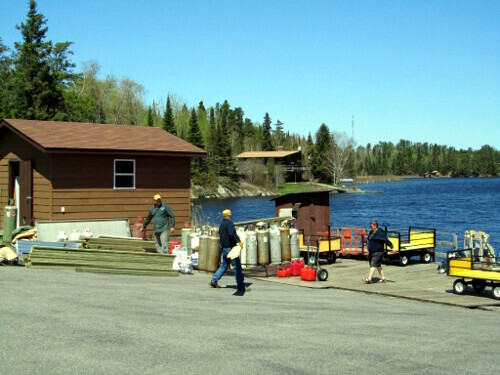 In most cases, you’ll be in the only outpost on the lake. 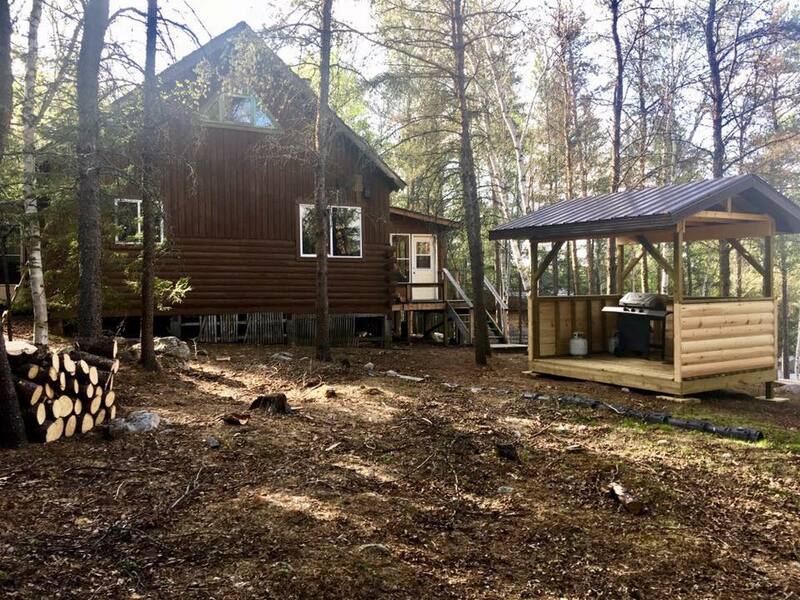 Each of our outposts has a bright living area with comfy sofas, easy chairs and a shower with hot and cold running water. 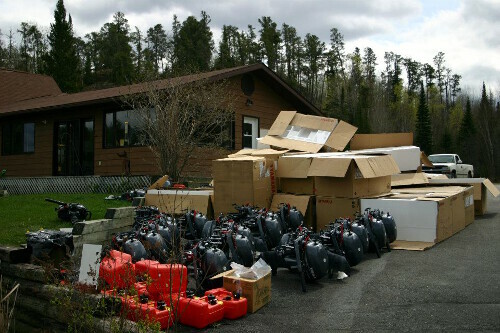 In the kitchen, you’ll have solar electric lights, a refrigerator and freezer, as well as a propane stove and oven. 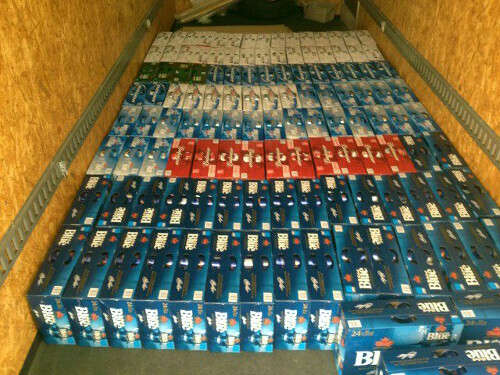 In each bedroom you will find two single box spring mattresses. 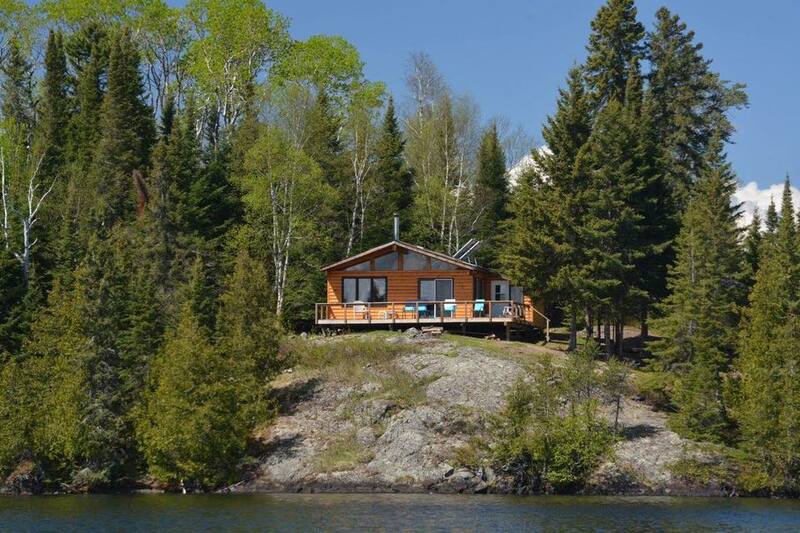 Out on the deck, you’ll have a superb view of the water, wilderness and northern lights. 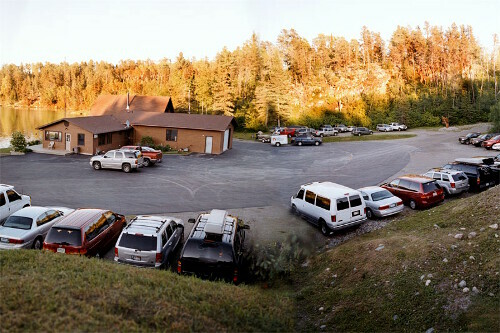 There’s also an outdoor cooking area with a gas BBQ grill and propane cooker for frying. 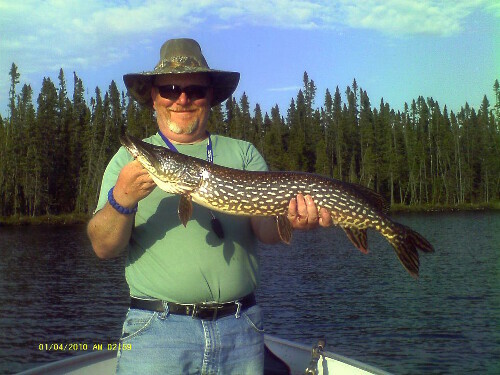 For communication while at the outposts, we have satellite telephones at each location. 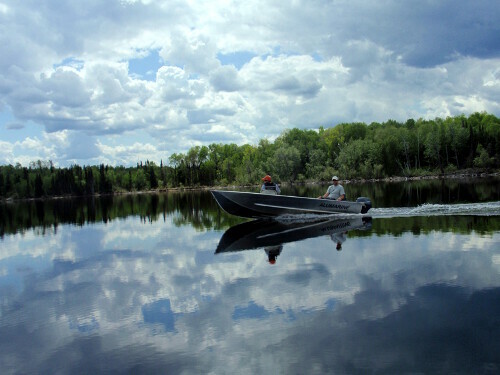 Head out on the water in a 14’ or 16’ boat powered by a brand-new Yamaha 4 stroke outboard. 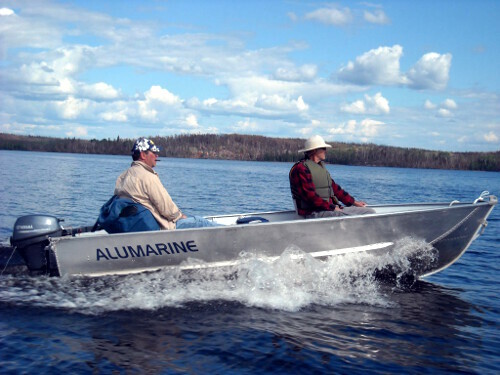 Each boat is equipped with swivel boat seats, cushions, minnow buckets and more than enough gas! 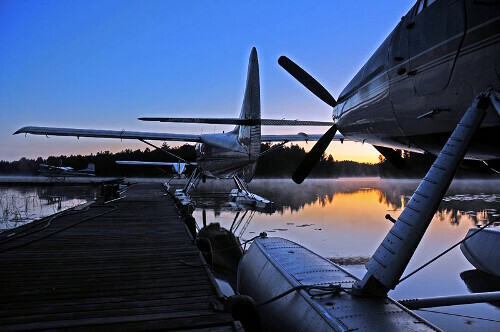 We have only one goal at Nestor Falls Fly-In: to provide the highest quality of service and the most complete Canadian experience a guest could receive while staying with us.